The CPAP Tube Brush is the ultimate, easy to use, safe and effective way to clean CPAP tubing and hoses. The 5-foot metal stem can be inserted into each end of the tubing to conveniently clean hoses up to 10-feet long. The soft nylon bristles scrub tubing interiors clean without causing scratches or damage. The CPAP Tube Brush is available with two bristle widths. The Brush with 19MM bristles is designed for use with Standard 22MM CPAP & BiPAP Tubing. (Standard 22MM Tubing is called that because of the size of the end caps on the tube; the inner diameter of the tubing is 19MM so the bristles fit perfectly.) The Brush with 15MM bristles is designed for use with SlimLine and Slim Performance Tubing both of which have a 15MM inner diameter. You can choose your preferred brush size when adding the CPAP Tube Brush to your shopping cart. Carefully unwind and straighten tube brush, maintaining a hold on both ends. Once unwound, we suggest finding somewhere to hang the brush as repeatedly winding and unwinding it may fatigue the metal, and result in a broken stem. 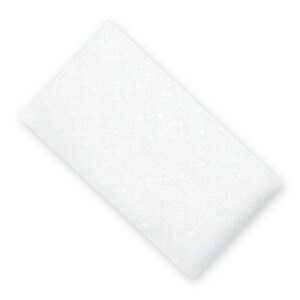 Wash The CPAP Tube Brush before use with warm water and a mild detergent. Rinse thoroughly with cool water. While the CPAP Brush's fan-tip is intended to prevent tube piercing, overly aggressive strokes are discouraged. 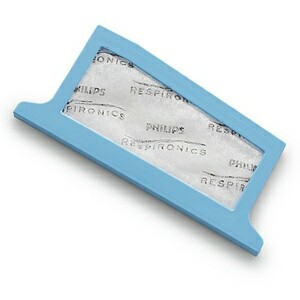 When done cleaning, thoroughly rinse your CPAP tube with a stream of cool water. 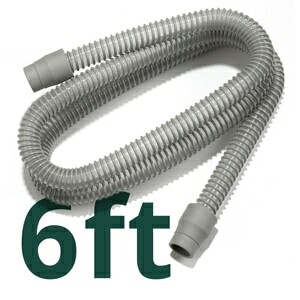 To dry hang your CPAP tubing in a well ventilated area to drip dry or attach the tube to your machine, and let it run for 15 minutes or so, or until you feel all interior moisture has evaporated. 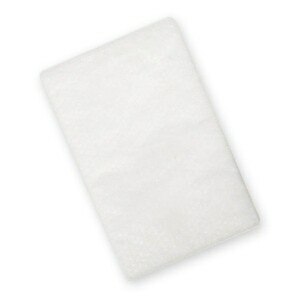 Gently pat The CPAP Tube Brush's bristles until dry to the touch and hang in a well ventilated area to dry. USAGE: DirectHomeMedical & Monaco Products cannot be held responsible for damaged tubing caused by improper cleaning procedures. The CPAP Tube Brush is sold solely for the purpose of maintaining your CPAP tubing. The manufacturer and vendor are not responsible for consequences of any other use. A little long and difficult to clean cpap hose but, is necessary and cleans the hoses very nicely. A must have. It is not as long as my hose which I can only insert from one end. First time tumble through this site. Made an order for CPAP Tube Brush that I've been looking for quite long time. Product works as expected. Delivery is as expected from the email confirmation. Highly recommend for cleaning your CPAP Tube. I feel comfortable after using this brush that this unit is clean and ready for use once again. Got everything fine plugs dont fit my hose well must be different types but I use but half to hold. The cleaning brush could be longer. c-pap hose brush cleaner is great! I'm so happy to finally have something to manually clean out the insides of my c-pap hoses. This is a handy tool that is easy to use! Works like it's supposed to. It's a brush. 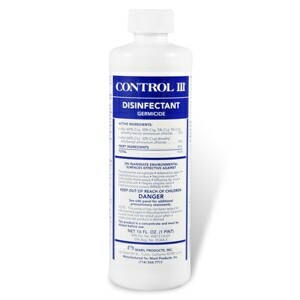 An excellent product - well worth the money. In the past, I have simply flooded the tube with warm water and vinegar. Using the brush as well gives me a higher confidence that it is now as clean as possible. Product is well constructed and sturdy - I anticipate it will last a long time. Needed to a way to get my CPAP tubing really clean on the inside. Works great! Now a normal part of my CPAP mask, headgear and tubing cleaning regimen. This is a much needed tool for everyone who needs a c-pap machine. Your service was amazing and much speedier than I thought it to be. You ALL are amazing. Thank you for helping me with my order and shipment. Finally, a brush to clean the air hoses ! This brush works great to clean out air hoses. I feel that it is cleaning out the hose , before I soak and sanitize it. Very happy with brush. Great to have an interior brush for hoses. At last! I had a feeling this was out there somewhere! The brush allows efficient and thorough cleaning of that long tube connecting the CPAP device to the mask. So simple, so effective.